1994 sits right in the middle of the graphic adventure peak. 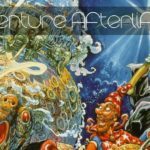 After the staggeringly prolific 1993, the momentum carried well into the following year with a mix of new games and sequels to established franchises. Thematically there’s a heavy thematic shift towards science fiction, however in both the science fiction games I played through for this year there’s a heavy dose of humor. Many North American gamers will probably immediately name LucasArts and Sierra as the two major adventure power houses. In the UK we were also lucky to have studios like Adventure Soft and Revolution. Revolution is still going having mostly recently released the Kickstarter backed Broken Sword 5. Interestingly enough Revolution somewhat controversially listed Beneath a Steel Sky 2 as a stretch goal on that project. The goal wasn’t reached and since then the Revolution team have been pretty quiet on their next project. This means to this day BASS hasn’t had a sequel, so stands alone as a very differently themed adventure game. Bass follows Robert, who as a child is involved in a helicopter crash. His Mother is killed and he is left stranded in a wasteland. A local Mad Max style tribe finds the boy and gives him the last name Foster after Foster’s lager. Foster also being a rather apt name for a foundling. As an adult, Rob is found and kidnapped by security forces and take to the domed Union City. Union City is governed by the mysterious all powerful AI LINC, and Robert soon finds himself having to navigate the city whilst evading the security forces. Union City itself is an interesting location, it’s heavily hierarchal with people lower in the social hierarchy limited to only certain floors on the vertical sprawling city. These people have limited rights, whilst the wealthy live in luxury. In keeping with the cyberpunk theme there’s a strong emphasis on virtual reality, and artificial intelligence. Comic’s art legend Dave Gibbons provided the art design, giving the game a very unusual feel even for the time. The audio is also very strong with a distinctive soundtrack, and unusually for the time quality voice over. If I was a little hard on Revolution for last entries Lure of the Temptress, it’s probably partly because as a personal favorite , BASS released only a year later is a staggering achievement. The virtual theater system is back and used to great effect, allowing the player to follow characters from screen to screen. The writing is also superb mixing dark cyberpunk with humor and a tiny bit of body horror. It’s hard being totally objective but beside a few whimsical puzzles ( you can launch a dog into the air)m they mostly make sense and work together to tell the story. Once of my all time favorite games,if cyberpunk or science fiction interest you I encourage you to play the game is available legally for free from SCUMVM or GoG as James Woodcock’s ( Fan made) enhanced soundtrack, which I recommend you use. Mobile versions are also available if you want to support the dev. You can now never unhear that.Soon after this Rosella is kidnapped, her Mother finds herself lost in the desert and vows to save her.In King’s Quest games you can die, you can die is stupid ways ( wandering in the Desert too long), getting stung by a scorpion etc. Luckily by this point Sierra had grown a little kinder and they let you resume. The puzzles can be a little obtuse, and follow the traditional mold of weird clue luckily scrawled onto walls and trial and error. In the first section I played with Queen Valance I noticed at least one puzzle with multiple routes all the way through. Rosella standing by a salty pool. I got as far as Rosella’s section before I caved ( which I hate to do) and looked up a walkthrough as I got stuck. But the trouble was the solution I kept finding does not work. Various fan pages list numerous bugs but not this one. So sadly despite my resolution to play everything, I gave up. Despite this being a sequel I hadn’t played a Tex Murphy game before. However in keeping with my chronological plan for this series I installed Under a Killing moon in a bit of a strop after the Kings Quest VII incident. I was prepared to hate. All I knew about this game was that it was FMV and had large enough following to warrant numerous sequels and a recent Kickstarter. I didn’t know that the game doesn’t just use FMV but also has gameplay sections in first person 3D ( like Dagonronpa or Hotel Dusk).The controls are bizarre you move via mouse with the speed increasing as you go like a car. You can also duck, look up and down. All the characters in the game are FMV, with video cut scenes often popping up when Tex leaves a location or when a plot vital incident occurs. The game has a noir feel, but it’s set in the future. Tex’s office is in a bad part of town where all the mutants ( played by actors in various masks) live. Mutant life is cheap, and so is the rent so this is where Tex is based. Here is a FMV mutant in a bin, this is his in game idle. It loops like this. He is addicted to chocolate, this is why you should play. Near the start of the game, you find Tex’s gun. Tex picks it up, accidentally throws it out the window where a kid picks it up and runs away with it. The whole scene is goofy and silly, and it’s at this point you release they know it’s silly. This is like a holodeck episode of TNG, where Tex Murphy ( also played by the game’s designer Chris Jones) is having the Time of his life, goofing off with a large cast of actors who vary from being in on the joke, to lost, confused and scared. The story starts you off with a few local cases, and introduces the mechanics before the main plot involving, a missing statue and a mysterious Countess kicks off. The puzzles mostly make sense, though the game can be a little particular about how you do things. It’s also possible to mess up royally. Thankfully there’s also a decent built in hints system which gives clues in return for deducting points. The only place where this doesn’t help is locating objects, the game makes full use of the 3d environments and hides objects in weird places. This can get a bit frustrating as those objects are often sprites which rotate or disappear at odd angles. It’s also possible I learned when once again breaking my rule and resorting to a walkthrough, to miss an item and get to the end of the game without it. Where Tex will then fail. You can die in Under a Killing Moon, and it’s weeeiiirdd. A man in shadow with a deep voice appears in shadow to tell Murphy off and offer him another chance. I like to think this means the whole thing is in Tex’s head and he’s utterly deluded, but the game hints otherwise. I’d never played a Tex Murphy game before and I thoroughly enjoyed it’s bizarre mix of humor and future Noir. Recommended especially for Contradiction fans. Just save often. It’s detective Tex Murphy, holding a toy ring. 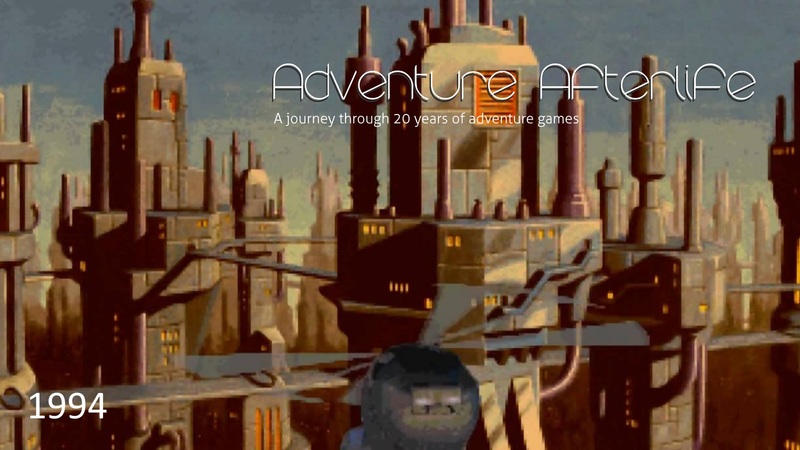 1994 was still a pretty great year for adventure games. Whilst 1993 saw a ridiculous amount of releases 1993 was still strong. The fact that King’s Quest had gotten to VII at this point is no mean achievement. Sierra games were the big sellers of their time, so it’s frustrating to see from the little I played that they were still buggy, and hadn’t really improved their puzzle design. The art was at least an interesting direction, and very different from the other two games I played. Tex deserves a shout out too, it was utterly silly but a joy to play, I’m not sure that I’d have finished it without help but the comprehensive in game hint system really helps . BASS is still a classic, and certainly the most polished of the three games I played, and still and all time favorite. Also in the cyber punk mystery category was Hideo Kojima’s Snatcher. I’d like to include more Japanese games on this list, so another one to possibly go back to. Sorry Mr Kojima I had to draw a line somewhere so these blog posts could keep coming…. Image credit: Some of these screenshots are from Giant Bomb’s database as I’m also blogging this from my account over there.